Last week I wrote about an area north of where I live in Florida. It was Panama City Beach and that area was devastated by hurricane Michael in October 2018. The damage from this storm has been estimated at $25.1 billion dollars. Some readers were curious why I would want to live in Florida and go through hurricanes. I am prepared to answer that question. I knew nothing about Florida when I moved here in September 1984. My first hurricane experience was quite the lesson. I lived in a mobile home and came home to the evening news announcing the evacuation rules. It said that anyone in Citrus County in a mobile home needed to evacuate to somewhere high and dry. After we heard the alert, we went out and cleaned up anything that could fly with the wind. About that time my boss arrived and said we ought to come to her house. She had a concrete block house, quite a bit stronger than a mobile. While at her house with native Floridians, I got an education. Citrus County is bordered on the west side by the Gulf of Mexico. 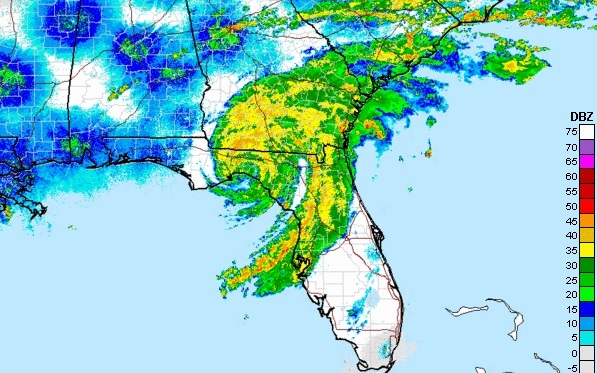 The hurricane was spinning and stalled in the gulf. It was out there for a couple of days. It was said we would be a direct hit. The natives said, ‘Absolutely not just watch and see.’ Just as the natives said, when the hurricane started moving again, it left us without much more than some winds and rain. That night they explained to me there really wasn’t much of a problem unless your home was built on the water, a higher tide than usual would be the issue there. Occasionally, Citrus would get some high winds but sometimes we get that in an afternoon electrical storm. Hurricanes prefer to travel in warm waters and low elevations. We have seven spring (cold water) fed rivers that feed cold water out into the gulf and we have some of the highest elevations in Florida. If we ever go under water, they will be using scuba divers in Mickey Land. Hurricanes usually hit south of us in Tampa (built primarily under sea level!) and bubble out around us north to Cedar Key. We also have about a 30-mile shallow shelf of land under our section of the gulf. It gets deeper about a foot a mile. (It’s not the best place to plan on deep water fishing or diving.) This is also said to be a possible reason for the detouring storms. Proof of our good fortune are that the tiny islands off our coast are still here. In other coastal areas the wind and flooding have eroded their islands. Okay, so I learned this stuff from the natives but in the past 30-plus years they appear to have been right. I do still believe in evacuations to be on the safe side. I am not just curious about why I appreciate my area. I could go on all night with neat things about Citrus County, Florida, just ask me. Send your comments or questions to dwdaffy@yahoo.com or call the office and leave a message if you ‘don’t do computers’. Thanks for reading. Live at St. Peter’s Church; Carol Sudhalter, baritone sax and flute; Patrick Poladian, piano; Kevin Hailey, double bass; and Mike Campenni, drums. Alfa Projects AFPCD194, CD, a recorded live concert, from March 7, 2018, at New York City’s St. Peter’s Church. 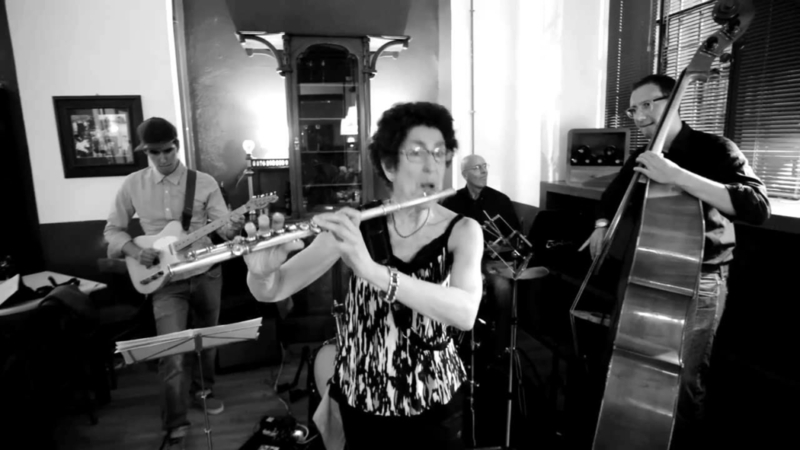 Carol Sudhalter, now in her 70s, has gained a much-justified fan base in New York City’s Queens in the last 35 to 40 years as one of the finest jazz musicians on baritone sax and flute. Her quartet, consisting of three extraordinary musicians, include pianist Patrick Poladian, Kevin Hailey on the traditional double bass and Mike Campenni on drums. They perform nine selections in a 50-minute program; the composers are comprised of such jazz legends as Bill Evans, Sunny Rollins, and Hank Mobley, along with good tunes by pianist Poladian, Carol herself (in which she sings very nicely) and a beauty, Luiza, from the Bossa Nova legend Antonio Carlos Jobim. Carol is open to bookings here in Maine. For those who run clubs and other such venues, the contact email address is sudhalter.com . Her music making can also be heard on several YouTubes. This CD is one that holds up with repeat listenings. A live broadcast featuring Van Cliburn with Istvan Kertesz conducting the Berlin Philharmonic; Priceless C70581, cassette, released mid-1980s. It is a good performance but doesn’t stand out like others. Strange, because Cliburn and Kertesz did exceptional recordings in otherwise separate realms. And there is no information with the tape about anything. Another Tchaikovsky work is the Violin Concerto in an exciting Yehudi Menuhin/Ferenc Fricsay collaboration with the RIAS Orchestra, of Berlin, possibly the same studio one released elsewhere on Deutsche Grammophon. A studio CD of pianist Misha Dichter, with Jan Latham-Koenig, a name new to me, conducting the Baden-Baden, Germany, SWF Symphony Orchestra; DDD USCD71845. Misha Dichter recorded this back in the mid 1960s with Erich Leinsdorf conducting the Boston Symphony Orchestra for RCA Victor, a solid dramatic performance on its own terms. Dichter’s re-make is even more exciting and was recorded the same day, March 22, 1988, as the composer’s Second Symphony, the Little Russian, with the gifted well-known David Zinman replacing Latham-Koenig at the podium. Hiroko Nakamura with Evkeny Svetlanov conducting the USSR State Academy Symphony Orchestra; Sony SK48030, recorded at Tokyo’s Suntory Hall May 23 and 28, 1990. Geza Anda with Alceo Galliera conducting the Philharmonia Orchestra; Testament SBT 1064, recorded at London’s Abbey Road Studios (the exact same locale as the classic Beatles album in 1969), with Rachmaninoff’s G Major and G Minor Preludes, October 12 – 15, 1953, and January 4, 1954. The late pianist Hiroko Nakamura possessed an elegant balance of sweet lyricism and tart intensity that added an extra special quality to these much-recorded works. It was a style that didn’t call attention to itself, unlike the differently gauged flamboyance of such virtuoso titans as Horowitz, Richter, Lazar Berman, and Georg Bolet. There were a few moments when her lyricism skirted blandness. But these performances were quite enjoyable. And Svetlanov conducted with lots of excitement and intensity. She died of colon cancer, at 72, in 2016. Geza Anda (1921-1976) left a sizable recorded legacy of crown jewels. He had precisely-filleted virtuosity, probing musicianship, commitment to the score, legendary virtuosity and a roaring zest for the good things in life – wine, good hardcover books, records with a high class music system and great conversation for when hard labor was over. The performances of both Concertos, with the superlatively powerful and eloquent conducting of the horrifically underrated Alceo Galliera (1910-1996) and the sizzling two very famous Preludes render this CD an absolute must for listeners who truly care about this music. (NAPSI)—Eating a healthy diet, exercising, getting a regular Pap smear and mammogram—these are just a few of the many steps women can take to help ensure they live longer, healthier lives. However, it can be tough to figure out what to do, given the mountains of information that are available. So, how can women determine which services and screenings are right for them—and when? You can start by being aware of what the science says about preventing certain health conditions and by having an open and honest conversation with your doctor about your values and preferences. Cardiovascular disease (CVD) is the number one cause of death for women. Fortunately, you can help prevent CVD by addressing important risk factors such as high blood pressure, high cholesterol, and obesity. For example, if you are age 40 to 75, talk to your doctor about your CVD risk and whether a low- or moderate-dose statin may be right for you. Statins are medications that lower your cholesterol, prevent buildup of cholesterol and fats in your arteries, and reduce your chances of having a heart attack or stroke. Depending on your age and risk factors, taking a low-dose aspirin daily can also potentially help prevent CVD. When blood clots form in narrow blood vessels, such as the ones in your heart and brain, it can cause a heart attack or stroke. Aspirin can help keep these blood clots from happening, lowering your risk. There are some risks associated with taking low-dose aspirin every day, so make sure you talk to your doctor about whether aspirin is right for you. Taking statins and aspirin to prevent CVD are effective but they are just one part of CVD prevention. You can reduce your risk of CVD by quitting smoking, eating a healthy diet, and becoming more physically active. If you smoke, talk to your doctor about ways to help you quit. If you are overweight and have other CVD risk factors or even if you are healthy and simply want to stay that way, ask your doctor about how you can develop heart-healthy habits. Screening for cervical cancer finds the disease when it is most treatable. Unfortunately, 12,000 women in the United States are diagnosed with cervical cancer each year. Most cases of cervical cancer happen in women who have not been regularly screened or appropriately treated. That is why it is critical for women to get screened regularly starting at age 21. There are several effective options for screening, depending on your age and preferences. The Pap test and the human papillomavirus (HPV) test are the most effective ways to screen for cervical cancer and are done during a visit to your doctor’s office. Talk to your doctor about which test is best for you and how often you should be tested. Breast cancer is one of the most common types of cancer in women; roughly 237,000 cases are reported in the United States each year. Breast cancer screening aims to find the disease early, when it is easier to treat. Mammograms, which are X-ray pictures of the breasts used by doctors to look for early signs of the disease, are the most effective method of screening for breast cancer. Evidence shows that the benefits of mammograms increase with age, with women aged 60 to 69 most likely to benefit from screening. Still, about one in three women who should get a mammogram regularly do not. If you are between the ages of 50 and 74, talk to your doctor about getting a mammogram regularly. Some women decide to start screening as early as age 40. Talk with your doctor about your individual situation and circumstances, when you should start screening, and how often you should be screened. As people age, their bones begin to thin. For some people, their bones become very weak and can break or fracture more easily, a condition known as osteoporosis. Osteoporosis affects one in every four women age 65 or older in the United States. Bone measurement tests can be used to screen for osteoporosis and identify the likelihood of future fractures. For people who have osteoporosis, treatments are available to reduce the risk of a fracture. If you are a woman age 65 or older (or younger than 65 with certain risk factors), ask your doctor about being screened for osteoporosis and other ways to improve bone health. These recommendations were developed by the U.S. Preventive Services Task Force—an independent group of national experts in prevention. The Task Force makes recommendations, based on the latest science, about what works and what doesn’t work for preventing disease and promoting good health. On an assembly at Solon Elementary School on March 20, town librarian Megan Myers and library trustee Rich Roberts presented awards to the winners of the sixth annual Bookmark Contest that the school holds in conjunction with the Coolidge Public Library. Each winner received a certificate and a book from the library, and their bookmarks have been duplicated to pass out to library patrons. Bookmark winners are Charlotte Hamilton, Nevaeh Palmer, Katelyn DeLeonardis, Karen Baker, Olive Macdonald, Layla Andrews, and Lillianna McCoy. Kindergarten screening for students entering kindergarten in the fall of 2019 will be held on Tuesday, May 7, at Carrabec Community School. Please call Heidi Atwood at 696-3100 to make an appointment for your child to be screened. Third Quarter Honor Roll: All A’s; Katelyn Deleonardis, Kaitlin Dellarma, Lane Frost, Cody James, Madyson Mckenney, Macie Plourde, Jillian Robinson and William Rogers. All A,s B’s: Isabella Atwood, Karen Baker, Kaylynn Clark, Amelia Cooper, David Dixon, Veronica Hoffman, Jayden McKenny, Ella Mckinnon, Aiden McLaughlin, Joseph McLaughlin, Riley Pelkey, Annabell Roderick, Thomas Roderick, Asron Soosman, Kaitlyn Soucie and Fisher Tewksbury. Dates to remember: Public Hearing on the budget on April 25, at 6 p.m., at Carrabec High School. Budget referendum vote Tuesday, May 7. Career Days Scheduled: RSU #74 will be holding three Career Days for K-5 students in May. Each Career Day will be held at the Garret Schenck School for students from all three elementary schools. Each student will hear three speakers talk about their jobs so that students begin to learn about career options when they’re young. Career Days will be May 2 for grades K-1, May 16 for grades 2-3, and May 23 for grades 4-5. 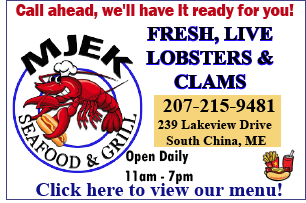 The timeframe will be 8:30 – 10:15 each day. Parents are welcome to join them for Career Day activities. The following e-mail was sent to me about the April meeting of the Solon Pine Tree 4-H Club by the secretary. “Last meeting we had 14 members and four leaders. We had Cooper as president and Sarah did this report. Craig did lice spray, Devon and Mat did string art. Katelyn and Autumn made ambrosia. April 27 has been set up for two members to give their demonstrations at Bingham Grange. There will be a supper at 6 p.m. for everyone. On May 4 we will have the Luck of the Draw. The kids will help by being runners. Hailey Dellarma will be making a basket for that. Next meeting will be on May 11. We will be doing stepping stones. Received the following e-mail with the words, “Support Local Yarn Store Day,” on April 27, 2019. Dear Yarn Friends, Next Saturday is LYS (Local Yarn Store) Day, an occasion for folks worldwide to step out and show support for their local brick and mortar yarn stores. 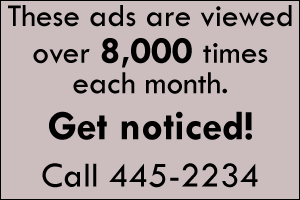 We think it’s a perfect opportunity for us to let you know how much we appreciate all of you. You truly are what puts the “Happy” in Happknits! Any yarn purchase on that day will get your name entered into a drawing for a $25 Happyknits gift certificate. We will also be offering a free download of the yet-unpublished Magical Thinking shawl pattern from Ravelry designer Casapinka to anyone who purchases the yarn to make it. We hope you can stop by between 9 a,m. and 3 p.m. on Saturday, April 27. Saturday, April 27: “Earth Day” Kennebec Banks Picnic Area Clean-up (April 28 rain date) from 1 to 4 p.m. Will you help us clean up our popular Kennebec Banks Picnic Area? Every year many wonderful volunteers help us get this beautiful river park ready for the summer. Please join us! With your help we hope to be even more ambitious by picking up litter from the east side of the Eddy to the picnic area and boat launch. Be glad of God’s blessings …His love and His care. On Friday, March 29, Erskine Academy students and staff attended a Renaissance Assembly to honor their peers with Renaissance Awards. 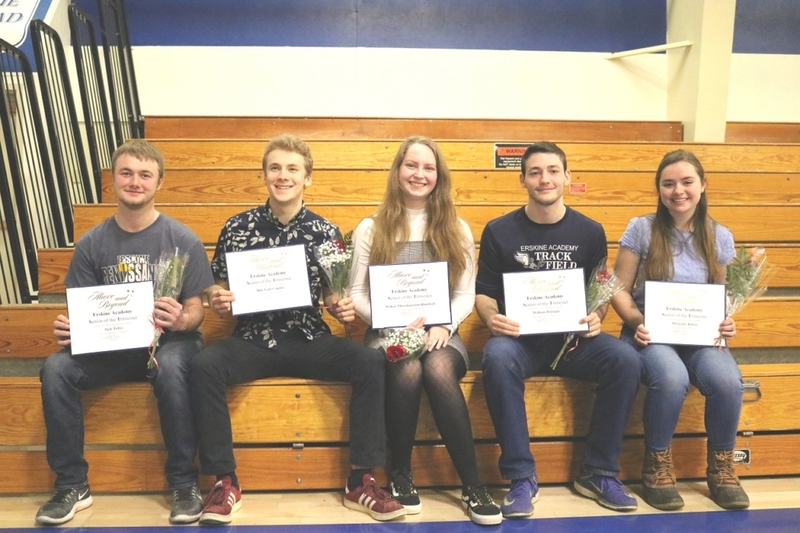 Recognition Awards were presented to the following students: Robert Cade King, Isabella Bishop, Justin Browne, Sam Worthley, Jenna Butler, Kaytie Millay, Tara Maltese, Sam Falla, Alyssha Gil, Annika Gil, and Seth Reed. In addition to Recognition Awards, Senior of the Trimester Awards were also presented to five members of the senior class: Jack Tobey, son of Amy and Christopher Hayes, of China, and Corey and Cheryl Tobey, of Palermo; Willow Throckmorton-Hansford, daughter of Mary Throckmorton, of Somerville; Will Bourque, son of Michelle and Joseph Bourque, of China; Morgaine Kmen, daughter of Christine Little and Mark Kmen, of China; and Milo Lani-Caputo, son of Andrea Lani and Curry Caputo, of Whitefield. Seniors of the Trimester are recognized as individuals who have gone above and beyond in all aspects of their high school careers. 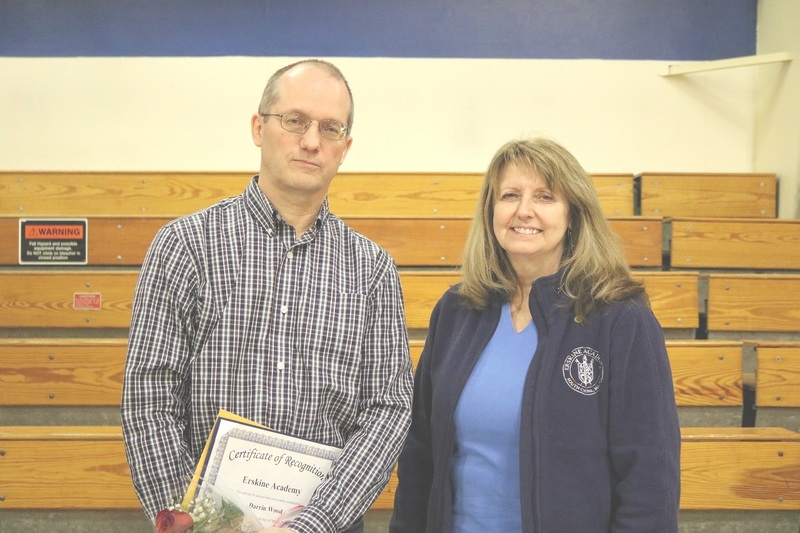 In appreciation of their dedication and service to Erskine Academy, Faculty of the Trimester awards were also presented to Marcia Coffin, attendance secretary; and Darrin Wood, EA community member. 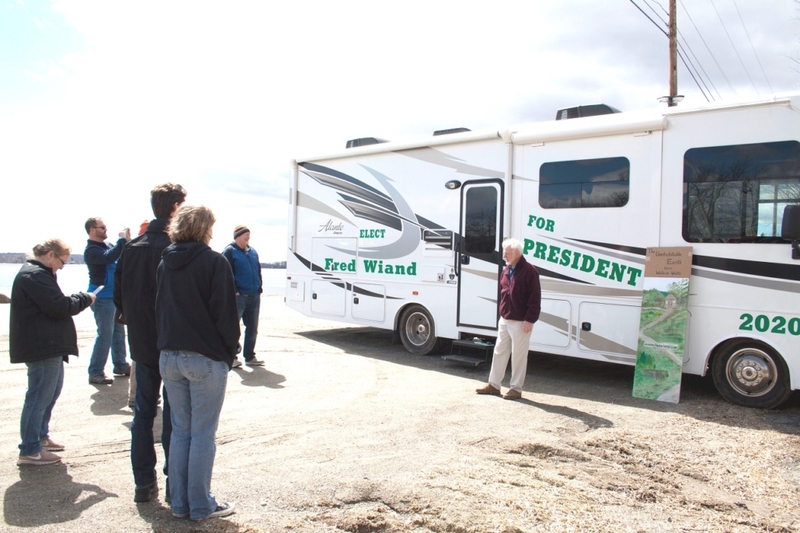 A group of supporters gathered at the north end of China Lake for the launch of Fred Wiand’s “Running for You” campaign tour. Fred, a resident, of China, Maine, seeks the Democratic nomination for the 2020 presidential election. He emerged from his white recreational vehicle shortly before 1 p.m. to meet and greet the group who came to hear him speak. His RV will act as a mobile campaign office and home for the next few months. Wiand, a retired Air Force Major, served for over 20 years active duty and was stationed in over 13 countries. He has visited all 50 states and lived in many of them, including Pennsylvania, California, Texas, New Hampshire and Maine. He said he has been (physically) running since the ‘60s which makes him fit for the job. This was also the inspiration for calling his campaign “Running for You” and at this rate, he has no thoughts of slowing down. After greeting the supporters Wiand stated, “I may be the dark horse, but I see a path.” He then explained that he does not plan on taking any PAC money to help fund his campaign. PACs (Political Action Committees) allows corporations or organizations to bundle contributions from their members and channel that money to fund elections of our government officials. This is the fastest way for a candidate to raise the cash needed to run a successful campaign. When asked if this puts him at a disadvantage, he said, “No, a huge advantage actually. Other candidates will be beholden to those who contribute to their campaign.” He promised to address campaign finance reform once elected. Wiand went on to speak about some of the issues that he would tackle as president, like universal healthcare, gender equality and gun safety. Two of the biggest topics he elaborated on were global warming/climate change and immigration. He said, “[We] should rejoin the Paris Climate Agreement,” and spoke of looking for alternative energy sources. Solar energy, wave/tidal/ocean options, geothermal, hydroelectric and hydrogen were all areas he felt we should explore more. Wiand mapped out a plan involving working with the Mexican President to ensure a safe and secure travel route for those who wish to come and go from the United States. 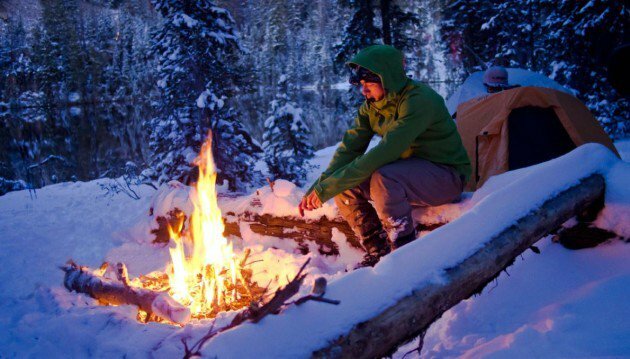 His plans involve creating stop-over camp sites along the refugee routes in Mexico. He then spoke of villages being built with American and Mexican labor between camp sites, establishing employment opportunities, and all the benefits that a village infrastructure would have. A similar setup could occur on the U.S. side in areas like El Centro, California, and Del Rio, Texas, just to name a few. He went on to say that electronic surveillance would be put into place instead of a solid wall and that every vehicle must be searched for contraband, no matter how long that inspection would take at designated secure crossings. Wiand also spoke about gun safety. He mentioned that he was a gun owner, but that military guns should be used only by the military and that better background checks were necessary. He would like to see a universal gun law in place. The “Running for You” campaign tour will take Wiand first to Massachusetts for a speech before heading south along the coast for stops in New York. Next up will be Pennsylvania to speak at Valley Forge and Gettysburg, then south to Florida. Wiand was then asked about his negotiating style or philosophy. He said, “You have to be open to friendly negotiations. No bullying. You have to have vision, charisma, persistence and resolve.” For example, he mentioned how President John F. Kennedy said we would have a man on the moon, and although there was push back, he made it happen. To read more about Fred and his philosophies, please visit his website, www.fredwiand.com. There’s a new wireless technology being rolled out this year that promises to be the biggest technological revolution since the invention of the cell phone. Dubbed 5G NR (“fifth generation new radio”), this isn’t just an upgrade to the existing 4G cellular network, but a radical reinvention of wireless technology that will require an enormous investment in new infrastructure, but also promises massive improvements in bandwidth, speed and latency. This new cellular technology achieves these incredible improvements by making fundamental changes to the way cellular networks function. 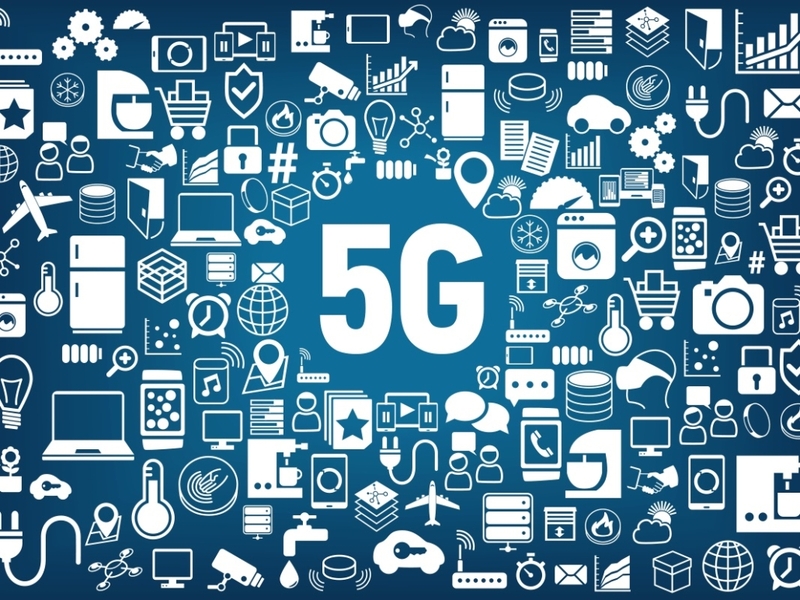 Whereas the old 4G technology used radio waves in the microwave band between 700 MHz and 3 GHz to communicate, 5G will tap into previously unused radio frequencies in ranges from 30 Ghz to 300 Ghz, known as millimeter bands. In addition, the new 5G technology will transmit across wider frequency channels of up to 400 Mhz, compared with 4G’s limit of only 20 Mhz. Now, that may sound like a lot of technobabble, but it has real world implications, so let me explain. A radio wave can be imagined as a wavy line traveling through space at the speed of light. Information is transmitted by manipulating the crests and valleys that make up that wavy line, much like the dots and dashes in Morse Code. The number of crests and valleys in a radio wave that pass a point in space in a specific amount of time determines the quantity of information transmitted. This is called the frequency of a radio wave. Since you can’t increase the speed at which a radio wave travels (it will always travel at the speed of light), the only way to increase information transfer is to increase the number of crests and valleys within a single radio wave. This is done by increasing its frequency. You can think of this as the difference between a wavy piece of string and a tightly coiled spring. While both the string and the spring are made from material of the same length, the spring will contain a greater number of crests and valleys and take up considerably less space. This is the basic concept behind the move in 5G to transmit using higher frequency radio waves. Since the higher frequency radio waves of 5G technology are capable of transmitting a much greater amount of information than earlier microwave-based 4G technology, one can reasonably ask, why aren’t we using it already? The answer is simple. These high-frequency waves are much smaller, with their crests and valleys more tightly packed together, and therefore require receivers which are much more sensitive and difficult to manufacture. While such receivers have been available for military applications for a number of years, it has taken time for it to become cost effective to produce such receivers for wider commercial use. That time has now come. The ability to fit more information into smaller transmissions, in addition to the use of wider frequency channels, means a hundredfold increase in data transfer times, and lower power consumption for devices. However, there are also some significant downsides to using these higher frequencies. While millimeter waves can pack more information into a single broadcast, their shorter wavelength means they can also be easily blocked by obstacles in the environment and absorbed by atmospheric gases. Although the antennas needed to receive these transmissions will be much smaller than the giant cell towers in use today, we will need more of them because 5G antennas require line-of-sight in order to receive transmissions. Instead of cell towers every few miles, as we have for our current 4G/3G cellular network, hundreds of thousands of smaller antennas will have to be installed on office buildings, telephone poles and traffic lights. This new 5G technology couldn’t have been implemented earlier because it requires the existing fourth generation infrastructure already in place in order to make up for these deficiencies. While the new 5G technology has some real benefits to human user experience, like having enough bandwidth to stream 50 4K movies simultaneously, speeds that are 20 times greater than the average U.S. broadband connection, and the ability to download a high definition movie in less than a second, the real excitement lies in how this upgrade will benefit the machines in our lives. A confluence of technologies ripening in the next few years are set to revolutionize our lives in a way that promises to be greater than the sum of the individual parts: this new, high-speed 5G cellular upgrade; artificial intelligence; and the rapidly widening world of the Internet of Things (IoT). These three technologies, each with astonishing potential on their own, will combine to change our lives in ways that we can only begin to imagine. I have spent this article talking about 5G, and you have likely heard a bit about the emerging field of artificial intelligence, but the final item on this list, the Internet of Things, bears a bit of explaining. The Internet of Things is an industry buzzword referencing the increasing level of sophistication built into everyday appliances. Your car now routinely has cameras, GPS locators, accelerometers and other sensors installed in it. Soon nearly every electrical device in your house will be similarly equipped. In the future, when you run out of milk, your refrigerator will add milk to a list of needed items stored in the cloud. On your way to the grocery store, your home A.I. will send a message ahead of you and robots at the store will prepare a shopping cart with the requested items, which will be waiting for you when you arrive. Stepping through your front door after a long day at work, your phone will ping you with a list of recipes you can prepare for dinner based on the items you’ve recently purchased. This is the Internet of Things. It’s every device in your life quietly communicating behind the scenes in order to make your life easier. Although this idea might seem a bit creepy at first, it’s coming whether you like it or not. According to statistics website Statista.com, there are currently more than 26 billion devices worldwide communicating in this way. By 2025, that number is expected to top 75 billion. The upgrade to 5G, with its increases in speed and bandwidth, is not so much a benefit to us humans as it is an aid to the machines in our life. As more and more devices come on line and begin to communicate with each other, the demand for greater speed and bandwidth will increase exponentially. Soon the devices in your house will be using more bandwidth than you are. There are also some significant security concerns arising from the need to build additional infrastructure to support the new 5G network. It will require the installation of billions of antennas and 5G modems across the world, in every town, city and government building. But who will build them? According to a February 2019 article in Wired magazine, “as of 2015, China was the leading producer of 23 of the 41 elements the British Geological Society believes are needed to ‘maintain our economy and lifestyle’ and had a lock on supplies of nine of the 10 elements judged to be at the highest risk of unavailability.” With this monopoly on the materials needed for high tech production, Chinese companies like Huawei, which is already the largest telecommunications manufacturer in the world, are set to corner the market on 5G equipment. You may have heard of Huawei from the news recently, as the U.S. government has accused the company of everything from violating international sanctions to installing backdoors in the hardware they manufacture on behalf of the Chinese government. China’s second largest telecommunications company, ZTE, who is also looking to seize a piece of the emerging 5G pie, has been the subject of similar accusations, and last year paid more than $1.4 billion in fines for violating U.S. sanctions against Iran and North Korea. Do we really want to build our communications infrastructure with equipment made by companies with close ties to the Chinese government? It’s a real concern for security experts in the U.S. and other western countries. Fortunately, European companies like Nokia and Ericsson, South Korea’s Samsung and California’s Cisco Systems are emerging as threats to this Chinese monopoly. The new technology of 5G is set to revolutionize cellular communications in the next few years, but the real story is how the confluence of technologies like artificial intelligence and the Internet of Things, in combination with this upgrade in communications, will change our lives in ways we can’t possibly foresee. The 5G future will be glorious, exciting, and fraught with danger. Are you ready for it? OAKLAND – Raymond Carl Bickford, 86, of Oakland, passed away at Togus Springs Hospice Center on Wednesday, March 27, in Augusta. He was born in Rome, May 29, 1932. Ray was predeceased by his father, John R. Bickford, mother, Lillian M. Tibbetts Bickford; and brother, Robert Bickford and his sons, Peter Bickford and Timothy Bickford. Ray leaves behind his wife, Ruth Hurd Bickford, of Oakland; son, Gregory Bickford and wife, Diane, of Unionville, Connecticut, and daughter, Kim Bickford, of Waterville; grandchildren, Joseph Greene and wife, Leslie, of Fairfield and their children, and Jeremy Bickford, of Connecticut; Courtney Green, of Waterville, Michael Ashman and wife, Cara, of New Hampshire, and Brian Bickford, of North Carolina. Ray also leaves behind many cousins, nieces and nephews. He was particularly close to his cousin Vance Tibbetts and wife, Ida, of Norridgewock. He also leaves behind his stepsons, Landy St. Peter and wife, Mary, of Oakland, Mark St. Peter, of Waterville and Glenn St. Peter, of Oakland, his step-daughters, Caron Beeckel and husband, Peter, of Turner, and Diane St. Peter and wife, Lisa, of Massachusetts, step-grandchildren Jeremiah, Jacob, Ben, and Ashley St. Peter, and many others throughout the US. A private memorial will be held on April 28. Arrangements are under the care of Direct Cremation of Maine. OAKLAND – Lisa Ann King, 54, passed away at home on Friday, March 29, 2019. She was born on February 26, 1965, at Redington-Fairview Hospital, Skowhegan, to Lawrence R. Farmer and Scharliene M. Farmer (Austin). Lisa graduated from Messalonskee High School, in Oakland, and Barbizon Modeling and Acting School. She was employed by Buds Food Center and Maine Criminal Justice Academy before becoming a homemaker. Lisa loved children, crafts, gardening, working with animals, large family gatherings, modeling, dancing, and gymnastics. She had a heart full of love for her family and friends. Lisa was predeceased by her parents, Lawrence and Scharliene Farmer; and her brother, Lawrence Farmer Jr.
Lisa is survived by her husband, Wann C. King; her children, Michael, David, Brandon, Hannah, Joselyn, Angela and Donna King; and her grandchildren, Alex and Scarlett. A memorial service will take place at Grace Bible Church, 333 Oak St., Oakland, on Saturday, April 27, at 10 a.m., followed by lunch and fellowship with the family. All are welcome. WINSLOW – Roland LaRochelle, 94, of Winslow, passed away on Monday, April 1, 2019, at Mount Saint Joseph Nursing Home, in Waterville. He was born in Winslow ono January 5, 1925, a son of the late Ephrem and Alfredina (Letourneau) LaRochelle. Roland worked for 35 years at Capital Distributors, in Winslow, as a salesman and subsequently as sales manager. He later joined Mid State Machine Shop, in Winslow, where he worked until he retired in 1995. He enjoyed many hobbies, including hunting, gardening, splitting wood, and playing cards with his friends at the Le Club Calumet, in Augusta, where he was a 50-year member. He also loved working around his home and yard. One of his favorite pastimes was watching and feeding the birds from his porch which led to his battling the squirrels and chipmunks, all known to him as “Chippy.” To those privileged to know him, Roland graced all with his humor, ingenuity, and unmatched hard work. Memories and stories of his life are many and will be shared for years to come. He will be dearly missed. He is survived by his wife of 70 years, Lucille Picard LaRochelle; seven children, Muriel (Thomas) Howells, Theresa (Ronald) Bailey, Raymond (Brenda Shea), Elaine (David) McQuillan, Ann (Michael) Roderigue, Lisa (Michael) Whisman and Donald; his brother, Patrick. He was lovingly known as Pepere to his 16 grandchildren and 16 great-grandchildren. He also leaves behind many nieces and nephews. He was predeceased by his infant daughter, Francine; brothers, Lionel, Wilfred, Clarence, August and Paul and sisters, Adella Boggs, Evelyn Paradis, and Yvette Jean. In lieu of flowers, donations may be made to St. John Regional Catholic School, Tuition Fund for a Child in Need, 158 Grand St., Winslow ME 04901. FAIRFIELD – Nicholas V. Goodwin, 34, of Fairfield, and formerly of West Gardiner, passed away on Monday, April 1, 2019. Nicholas was born in Augusta at MaineGeneral Medical Center, on November 20, 1984, the son of Victor A. Goodwin Jr., and Kelly Batchelder. 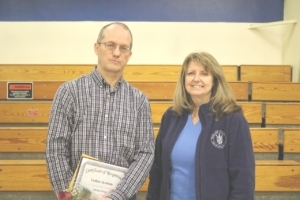 Nicholas attended Wayne, Maranacook, as well as Gardiner school systems. He spent most of his life battling a kidney disease and received a kidney donation on June 1, 1989. He loved listening to music, especially Madonna, Michael Jackson, and had a love for Marilyn Monroe. He is survived by his parents, Victor A. Goodwin Jr., of West Gardiner, Kelly Batchelder, of Richmond; a brother Billy; many aunts, uncles, cousins, nieces and nephews. Arrangements were under the care of Staples Funeral Home and Cremation Care, 53 Brunswick Avenue, Gardiner. Condolences, memories and photos may be shared with the family on the obituary page of the Staples Funeral Home website: familyfirstfuneralhomes.com. OAKLAND – Jaleah Gail Parlin, infant daughter of Hope and Dylan Parlin, was born sleeping on Tuesday, April 2, 2019, at MaineGeneral Medical Center, in Augusta. She was predeceased by her twin sister, Jocelyn Marie, and grandfather Mike Jordan. She is survived by her parents, Hope and Dylan Parlin; her sister, Juliette Parlin; grandparents, Norman and Donna Cormier, all of Oakland; Peter and Alicia Parlin, of Daytona, Florida; great-grandparents, Bernice Lausier, of Oakland, Gail Parlin, of Augusta; uncles and aunts, Kyle Cormier and partner, Jaime, Nate Parlin and partner, Mercedes, Austin Parlin and partner, Hannah, and Aaron Jordan; as well as numerous other aunts, uncles, cousins. A celebration of Jaleah and Jocelyn will be held Saturday, April 13, 2019 at 1 p.m. at The First United Pentecostal Church of Augusta, 15 Wilson Street, Augusta. Following the celebration there will be a gathering of family and friends where refreshments will be available. WINSLOW – Joanne (St. Amand) McKay, 89, passed away Wednesday, March 17, 201, at Oak Grove Center, in Waterville. She was born April 4, 1929, in Middleboro, Massachusetts, the daughter of Ovila and Minnie L. (Fagerberg) St. Amand. She was the wife of Eugene “Gene” Y. McKay, her high school friend. They were married April 8, 2000, after being separated for 52 years as they followed their separate paths through life. A 1947 graduate of Memorial High School, in Middleboro, she attended Westbrook Junior College, in Portland, where she studied journalism. Following her college, Joanne was employed by Thomas Brothers, in Middleboro, as a bookkeeper. Further employment was with Plymouth Shoe Company and Earth Shoes, both of Middleboro, in the position of scheduler, followed by accounting positions at Hughes Ford, of Middleboro, Chase Chevrolet, of Middleboro, and finally retired as the Bbusiness manager of the Halifax Country Club, Halifax, Massachusetts. She was also employed as a secretary to the Superintendent of Middleboro Public Schools. Joanne was the widow of Foster McComiskey, Jr., to whom she was married for 31 years. 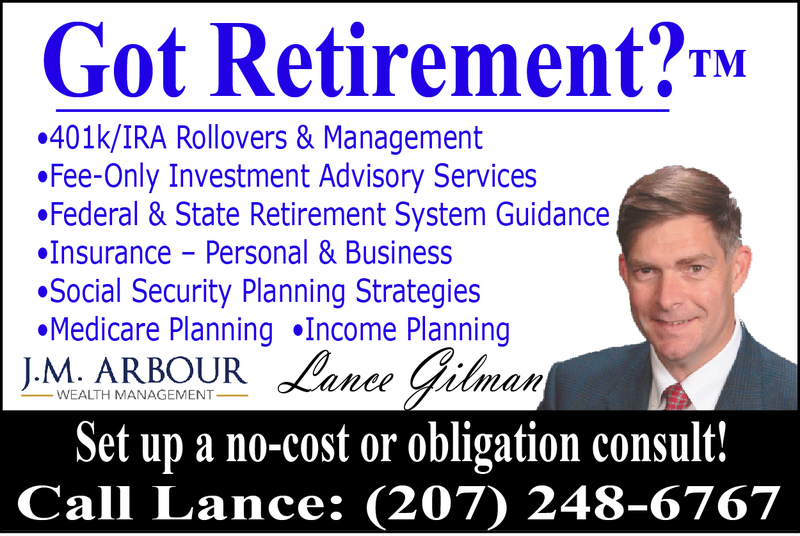 Gene and Joanne relocated to Maine in 2001 where they enjoyed a life of retirement and volunteer work, mostly at MaineGeneral Hospital, Thayer Campus, in Waterville, and also at Four Seasons Medical Clinic and the Alfond Cancer Center, in Augusta. Joanne also served on the Middleboro finance committee, Middleboro Central Cemetery Committee (as treasurer), the Lakeville Cable Television committee, all located in Massachusetts, and the treasurer of All Souls Unitarian-Universalist Church, in Oakland. Joanne is survived by her husband, Gene; several nieces; stepson, William Curtis McKay and wife Nancy, of Wilton, New Hampshire. There will be no visitation hours. A graveside service will be held at the Maine Veteran’s Memorial Cemetery, in Augusta, at the convenience of the family. 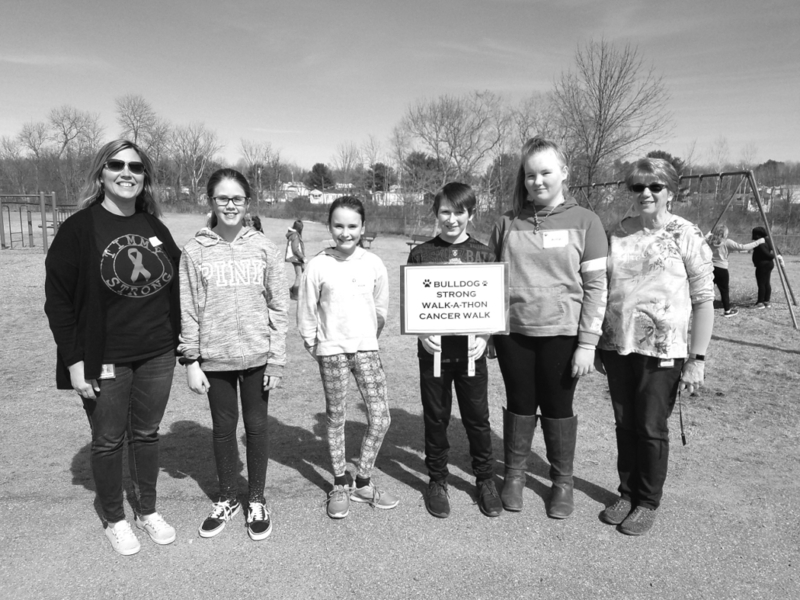 Clinton Elementary School’s Student Council led the school in a Bulldog Strong Walk-a-thon cancer walk for the American Cancer Society recently. Students and staff carried with them lists of names of the people they know or have known who had cancer. Over $1,002 was raised.